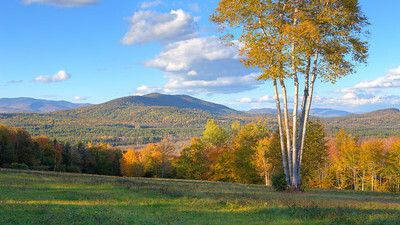 The view from the absolutely stunning town of Bethel, Maine. 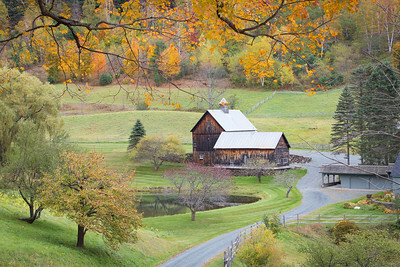 A town that finds itself at the top of fall foliage lists for good reason. Views like this are few and far between. 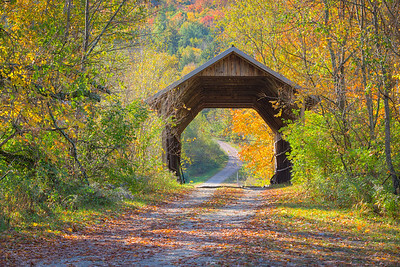 A shot of a beautiful covered bridge near Underhill, Vermont, surrounded by vibrant fall foliage. 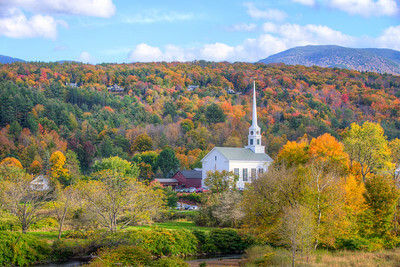 A view of beautiful Stowe Vermont and the stunning foliage filling in the background of this beautiufl little New England town. 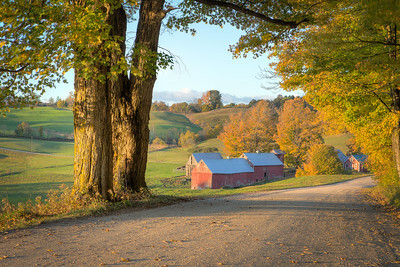 The rolling hills of central Vermont make for unforgettable views of stunning rustic farms that would be right at home on the countryside in all fifty states. 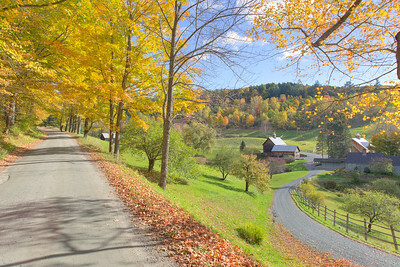 Home made maple syrup for sale on the farmhouse porch (using the honor system!) and a friendly dog to greet us made Jenne Farm a sentimental favorite spot from our week in New England. 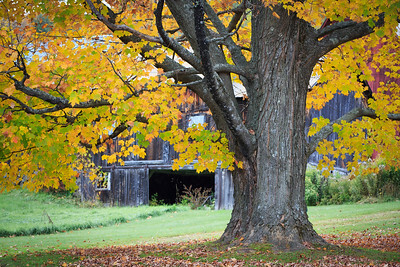 The muted lighting of some storm clouds bring out the vibrant colors of autumn in tiny Peacham, Vermont. This beautiful little town offers some of the best views in the state. 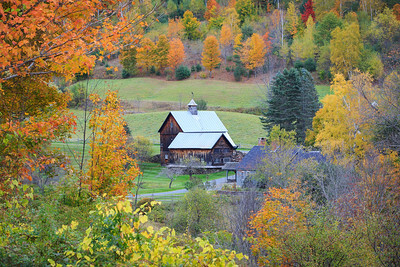 A view of a stunning Vermont farmhouse framed by the vibrant fall color of the autumn foliage surrounding it. 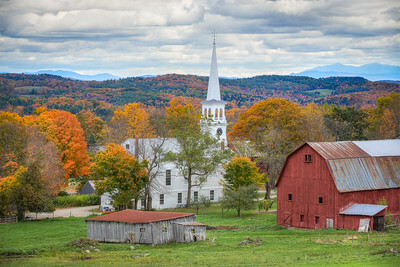 The famed Vermont folaige at its finest! 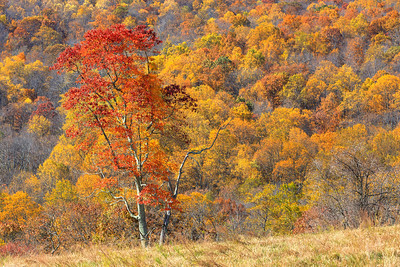 The remaining fall foliage puts on one last fiery show along the face of the Blue Ridge Mountains in western Virginia on the first weekend in Novemeber. I took this shot on my first trip to Sky Meadows State Park, which is a pretty great area with a nice selection of hiking trails that meet up with the Appalachian Trail along the top of the mountains. 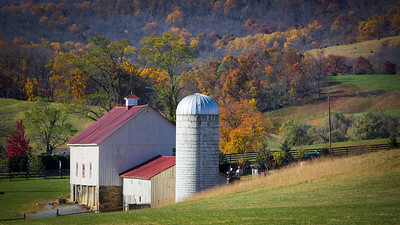 A gorgeous western Virginia farm is framed by the gorgeous colors of the Blue Ridge Mountains near Paris, VA in early November. 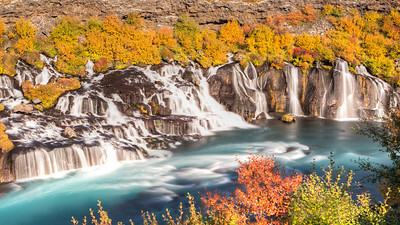 Iceland's Hraunfossar (lava falls), in which a series of watefalls are formed as water travels under a large lava field and out the side into the Hvita River. Truly a spectaculy sight to see in person. For those unfamiliar, Fallingwater is a masterpiece of architecture by famed architect Frank Lloyd Wright. 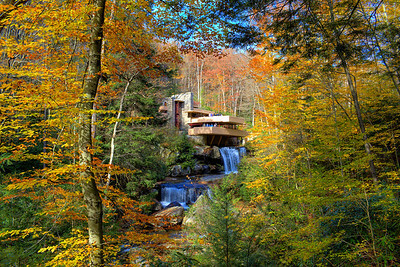 Positioned over an active waterfall in rural Pennsylvania, the house is a stunning setting in all seasons, but primarily autumn. I was lucky enough to stop by on a perfect day, showcasing the vibrant orange, yellow, and green colors of mid-Fall in the Northeast. 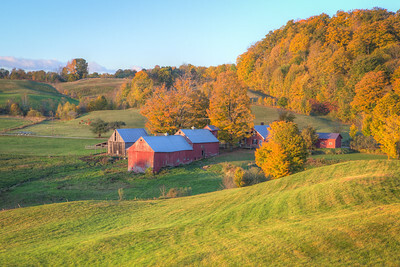 A view of Vermont's Jenne Farm by the golden rays of an Autumn morning sun.